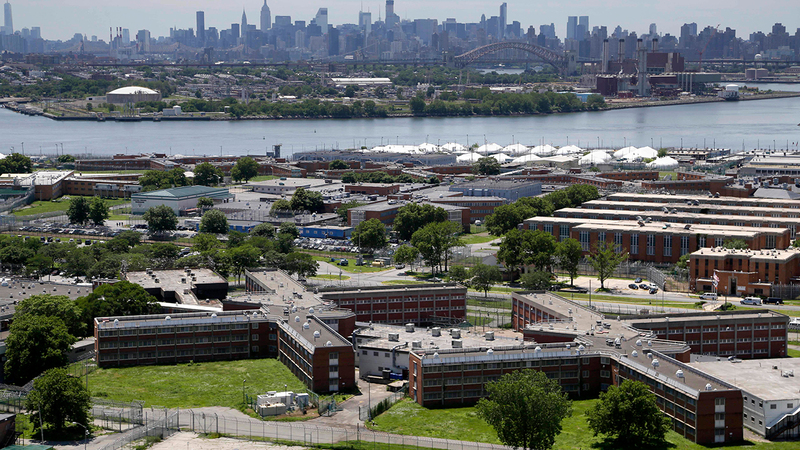 NEW YORK -- The New York City jail guard union has sued New York City, saying recent sweeping changes in city's jails have empowered violent inmates and endangered guards. The lawsuit was filed Friday in Manhattan federal court, alleging violence in city jail has in recent past increased 18 percent. In the lawsuit, the Correction Officers' Benevolent Association seeks changes to the work environment for guards and unspecified damages. The city did not immediately respond to requests for comment. The lawsuit said policies put in place since 2015 have put an emphasis on inmates' well-being and have "shockingly neglected" the safety of the guards. As a result, the lawsuit says, guards have been punched, kicked, slashed, splashed with urine, feces or saliva, stabbed, held hostage, beaten severely or sexually assaulted by inmates.